I like to take in European history by strolling a neighborhood, as if beachcombing. Picking up shards of a place's distant past, it's possible to piece together unexpected stories. Europe's venerable Jewish quarters are ideal places for this. European Jewish history is dominated by the Holocaust and the brutal persecution and murder of Jews by the Nazis. Those disturbing events — regrettably and painfully — sometimes obscure the much older history of the Jews in Europe. 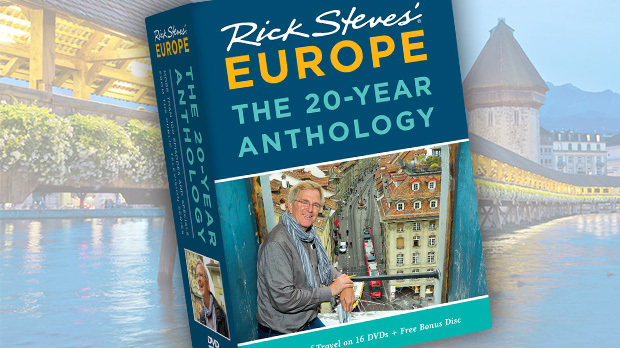 But diverse city neighborhoods — from Córdoba and Rome to Prague and Kraków — reward visitors with fascinating glimpses into the richness and longevity of Jewish culture. Take Córdoba. Its Jewish quarter, the Judería, hums with history. Tucked between the touristy city center and the workaday part of town, these side lanes date from the late Middle Ages. In those days, Jews prospered under the religious tolerance of the ruling Islamic caliphate. The quarter preserves its original layout, with narrow streets paved with river-stone cobbles and lined with thick, whitewashed walls. At its heart is a small, ancient synagogue, built in the early 1300s. This is a supremely spiritual place, subtly decorated with carved twining flowers and lacey arabesques. Jews prayed here right up until their final expulsion from Spain in 1492. Repurposed as a church, a hospital, and a guild hall, the building's original function was rediscovered only in the late 19th century. Just a few steps away, in a restored 14th-century home, is the Casa de Sefarad. This interpretive museum highlights Córdoba's past as an intellectual center, and the life of the great Jewish philosopher, Moses Maimonides (himself born in the Juderia in 1135). One of Maimonides' best-known writings, Guide for the Perplexed, has inspired legions of clarity-seeking tourists to rub the foot of his statue down the street. Among the most powerful places for experiencing Jewish history is Prague's Josefov neighborhood. 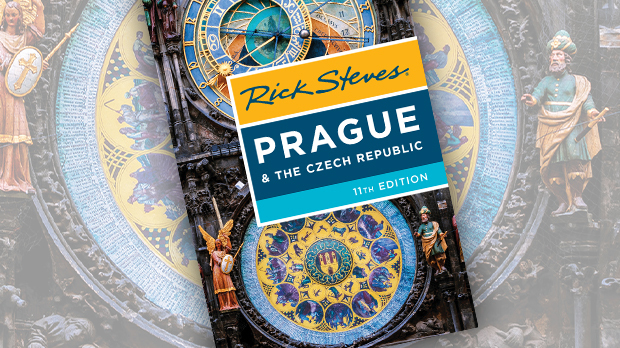 Jews came to Prague as long ago as the 10th century, working as merchants and traders. As they prospered here, they built homes and synagogues. But they were also persecuted over the centuries — suffering discrimination, destructive pogroms, and Nazi brutality. Today, Prague is home to a fraction of the Jewish population it had before 1940. Yet compact Josefov has some of Europe's most important Jewish sights, including several synagogues from the 16th and 17th centuries. Together, they function as historical and cultural museums whose exhibits give a crash course in Jewish customs and traditions. One synagogue, the Pinkas, is now a moving memorial. 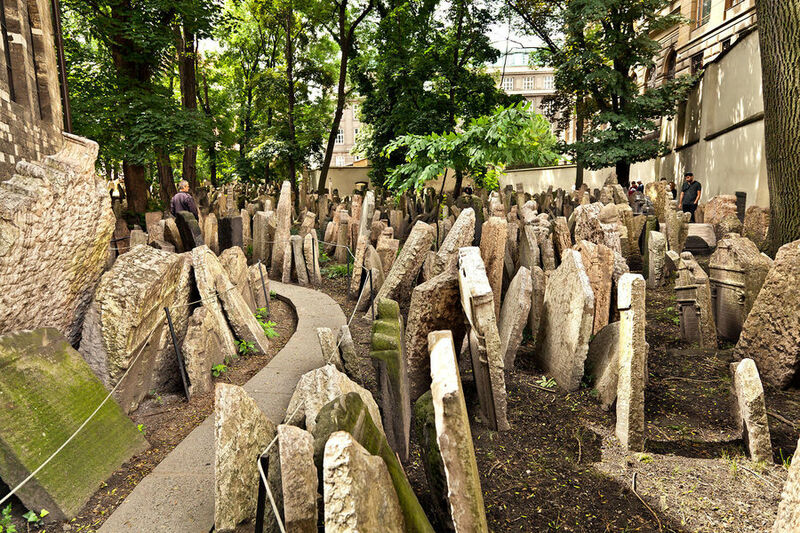 Once the private place of worship for a prominent 16th-century family, its pale walls are covered with 80,000 names, handwritten to honor and remember Czech Jews murdered in World War II. Just behind the Pinkas is Josefov's ancient cemetery. For nearly 350 years, this was the only burial ground allowed for the Jews of Prague. Without enough space, they layered the graves up to 10 deep, raising the ground up above street level. It's a mystically picturesque spot, with honored tombstones dusted with piles of pebbles, a sign of respect. In modern times, the majority of Europe's Jews lived in Poland, and Kraków's Kazimierz district was their social and political base. Although few Jews still live there, the spirit of their traditions perseveres in a handful of synagogues, cemeteries, and restaurants. 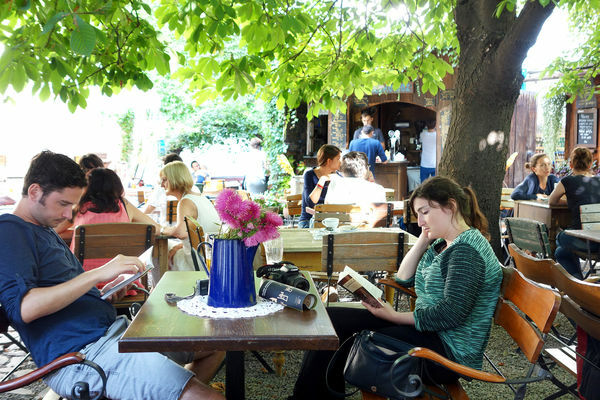 Unlike Prague's Josefov, Kazimierz doesn't have the feel of a "preserved" neighborhood. Its cobbled streets and antique buildings have persisted more through benign neglect than thoughtful planning. But that's made the rent cheap, attracting an arty crowd and young entrepreneurs. Bohemian-chic restaurants have moved in, and Jewish café culture has been revived. Throngs of young clubbers clog the streets after dark, their beats mixing in with the bleat of klezmer music. Kazimierz is one of the many places where the big events of World War II intersected with the lives of ordinary people. The businessman Oskar Schindler ran his enamel factory near here throughout the war — and saved the lives of more than a thousand of his Jewish workers. Now, one of Europe's best museums about the Nazi occupation fills the building where Schindler and his employees worked. The world of Europe's Jews can also be seen in its food. Rome's Jewish neighborhood, once a walled ghetto along the Tiber River, has been largely reconstructed, but its distinctive character survives through the kosher delis, takeaway stands, and cafes that line its broad main street, Portico d'Ottavia. There are kosher hot dogs, carciofi alla giudia — Jewish-style deep-fried artichokes — and pizza erbraica, which isn't pizza at all, but a dense coffeecake. Such quick and portable street foods were a solution to scant means and tight quarters. Across Europe, the heritage and character of age-old Jewish quarters beckons thoughtful travelers. Visit them to find living links to a rich if somber past.